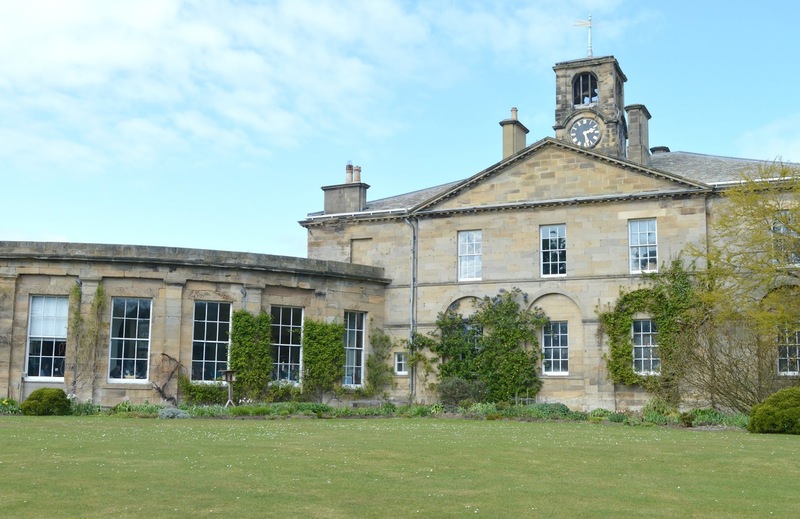 On our many many trips up the Northumberland Coastal Route last Summer we passed the sign to Howick Hall Gardens, located a few miles outside Alnwick, it's somewhere that's been on my radar for a long time but I've never been sure whether to visit or not. As members of National Trust I wasn't sure if it would be worth paying the entry costs into Howick Hall. Would it be a waste of our money when we can already access so many beautiful estates and homes just by flashing our National Trust membership cards? 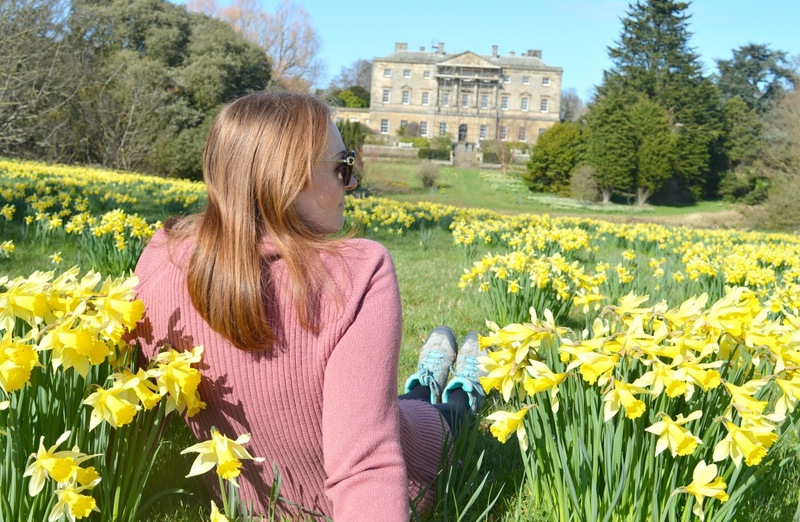 There was always going to be one thing that would convince me to give Howick Hall a go, and that was the rumour of the impressive daffodil display they have in early Spring. 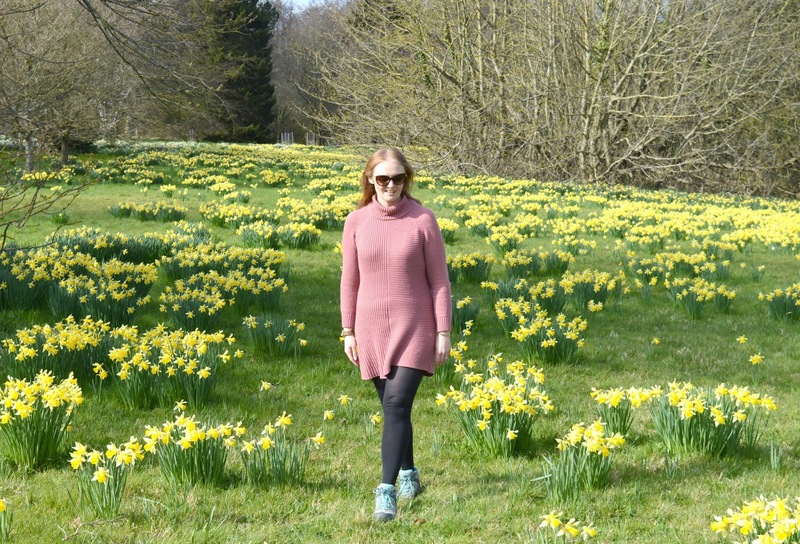 I've shared my, what some might say slightly geeky obsession, with finding the most beautiful floral displays in the North East before and if there's one bloom I can't resist it's a daffodil. 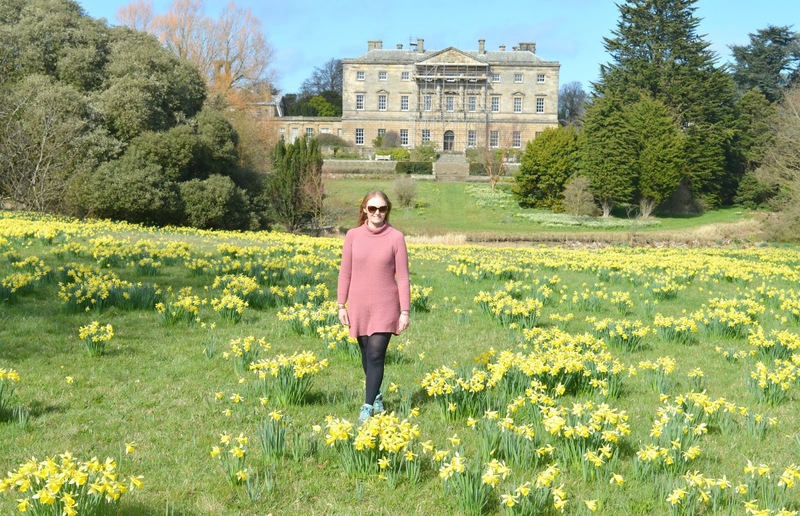 So last weekend, with the promise of some sunshine in Northumberland, Simon and I decided to venture to Howick Hall Gardens for the first time to see the daffodils for ourselves. It seems slightly silly now that we'd never visited Howick Hall before when it plays a pretty important part in our local history. The home of the Grey family until 1963, plenty of North East landmarks are named after the family (Grey's Monument, Grey College at Durham University, Grey Street) and Charles Grey's term as Prime Minister between 1830 and 1834 lead to the Great Reform Bill which eventually lead to our modern democracy. Arriving slightly later than planned (losing an hours sleep seemed to really throw us this year!) 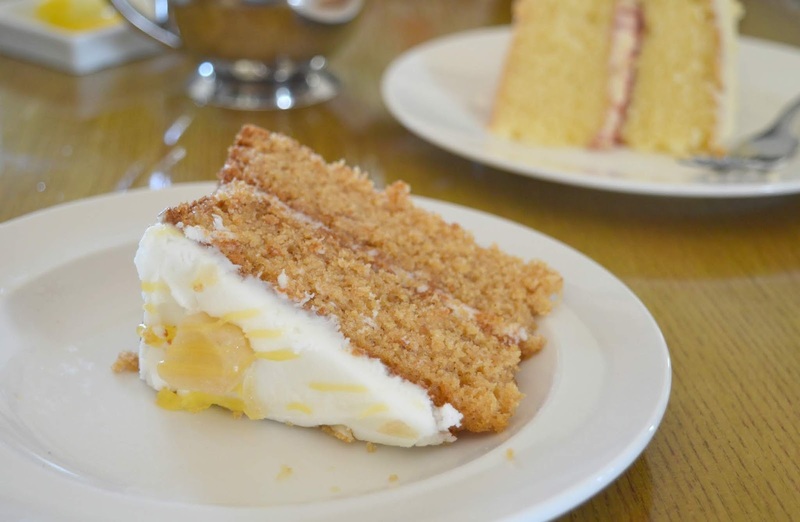 we turned up at Howick Hall with rumbling tummies so rushed our way straight to The Earl Grey Teahouse which you'll find in the East Quadrant of the Hall. We were slightly worried that we'd never find a seat as we'd arrived so late but The Earl Grey Teahouse is huge with plenty of tables and loads of space so despite hitting the cafe at peak time we easily found seats. The Teahouse is beautiful, with the very best tables in the house by huge windows looking out over the gardens with a great view of the bird tables where apparently, if you're lucky, you can sometimes see red squirrels visiting. Unfortunately none of the tables were available for our visit, so we are already plotting an early arrival for our next trip just to grab one - enjoying a cuppa whilst bird watching sounds like heaven to me. Howick is actually the home of Earl Grey Tea. The tea was specially blended by a Chinese mandarin to suit the water at Howick but when Lady Grey used it in London when entertaining it proved so popular that she was asked if it could be sold - Twinings came to market it, it is now sold worldwide and unfortunately the Greys failed to register the trade mark and as a result have never earned a penny from its popularity. 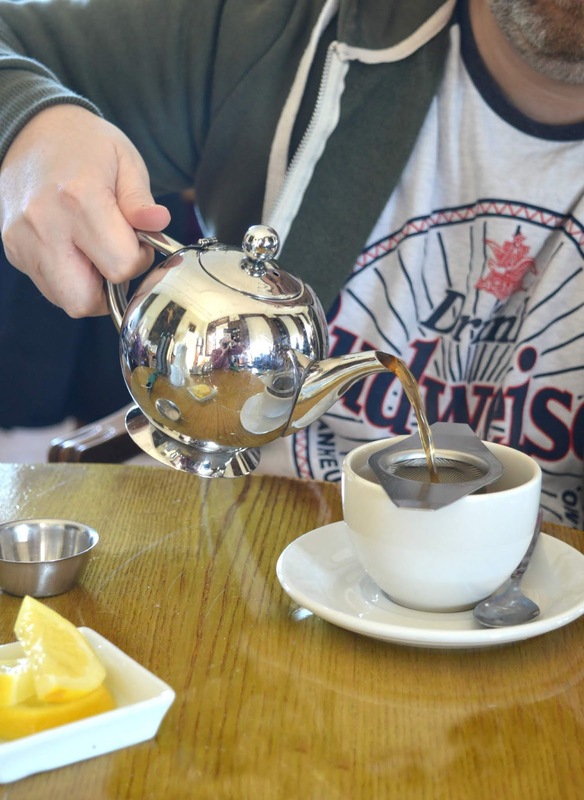 I feel it would be wrong to go to The Earl Grey Teahouse without ordering a pot of Earl Grey so, having never been a fan, I convinced Simon to go for it and after trying a couple of sips served with freshly sliced lemon I think I may finally be a fan - it was actually really lovely! The food at the Teahouse looked so good that we couldn't resist going all out and both ordered Northumbrian Rarebit (£7.00) and a slice of Victoria Sponge and Lemon and Ginger Cake (£3.10 a slice). It was an absolutely fantastic lunch! The real beauty of the Earl Grey Teahouse is that it's a lovely space with table service and exceptionally good food but you can actually only visit if you have paid the entry fee into Howick Hall. I honestly think if the Teahouse was elsewhere it would be rammed with people at all times and you'd never get in. We'd pay the entry fee again just to visit the Teahouse, that's how good the food is! With very full bellies it was time to set out on our mission to find the daffodils. 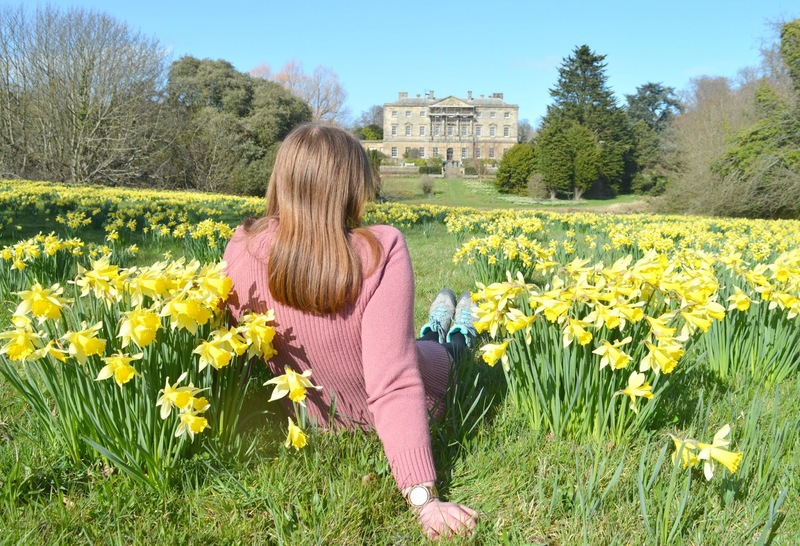 Although Howick Hall Gardens have a scattering of the flowers across the estate the Daffodil Bank overlooking the Hall is the place to head if you want the most impressive views. Heading out round the back of the Hall it was a short stroll through the Terrace/Borders (make sure you stop off to have a little peer into the garden pond because we did some frog spotting and it was a very lovely way to spend ten minutes) and we got our first glimpse of the Daffodil Bank. The carpet of yellow leading up the hill opposite the Hall has a perfect path winding through the flowers allowing flower lovers easy access through the display. I kept stopping every few steps to glance back at the hall because it looked so incredible sitting behind the yellow daffs. What I didn't realise was how spectacular the display was from the very top of the bank. Sitting ourselves down on the bench at the top we had the perfect view of the yellow carpet leading down to the hall and I honestly couldn't believe how few people there were out enjoying the view. 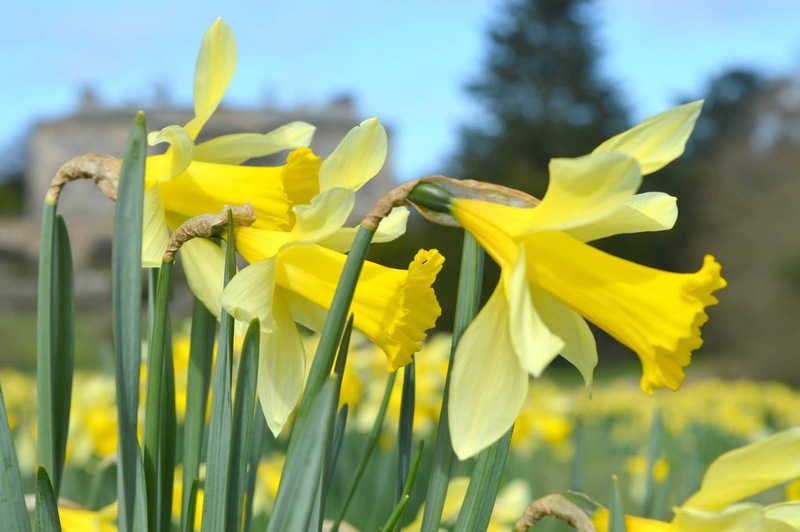 Perhaps thats the beauty of one of the most impressive daffodil displays in the North East not being free access, as soon as we saw that view we knew it was worth every penny of our admission cost. With the sun shining down on Northumberland I couldn't resist the opportunity to sit myself down on the grass. Forgetting about the rain fall from the previous night I sat amongst my favourite flowers to soak up some much needed Vitamin D and enjoy the views from a different angle. It was one of those blissful moments where for a few minutes you forget about any real life dramas or troubles and I felt truly happy to be alive. 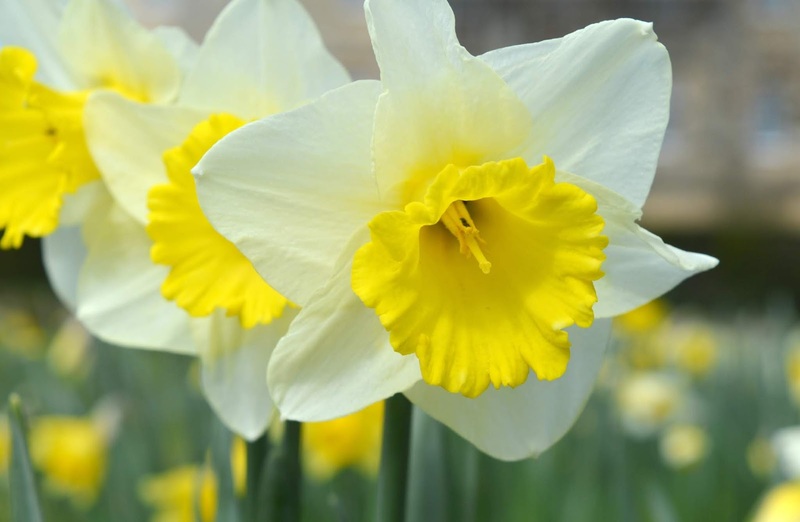 I'm pretty sure that the NHS should start prescribing a dose of "sit among the daffodils" to cure the Winter blues because it was the best way to welcome the light days ahead and leave the Winter far behind us. What a moment! Once Simon had finally convinced me to get up off my bum and rejoin him we continued our stroll finding more and more daffodils further along the bank until we finally popped out into a woodland area. 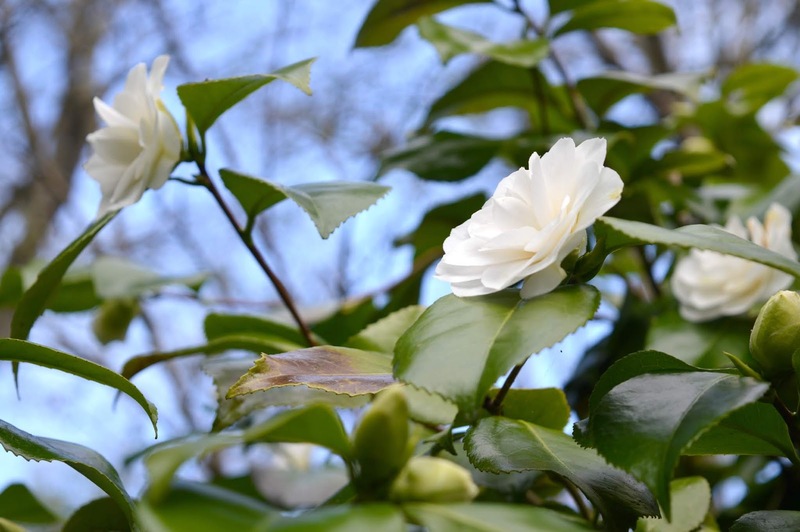 We had every intention to explore more of Howick Hall and Gardens, a garden lovers dream the extensive grounds offer some beautiful displays of flowers across the formal gardens, woodlands and wider estate but we completely ran out of time! We had spent our entire visit eating cake and admiring daffodils and it was getting pretty close to closing time. We definitely left Howick Hall wanting to visit again, at a different time of year. We only explored a tiny part of the Gardens and West Arboretum and the longer walks of the East Arboretum (there's a beautiful looking 3.25 mile route we really want to do) will definitely tempt us back. As we strolled back to the car we were already discussing our next adventure at Howick - an early arrival for some bird watching and coffee, followed by a longer walk and an afternoon tea at The Earl Grey Teahouse. 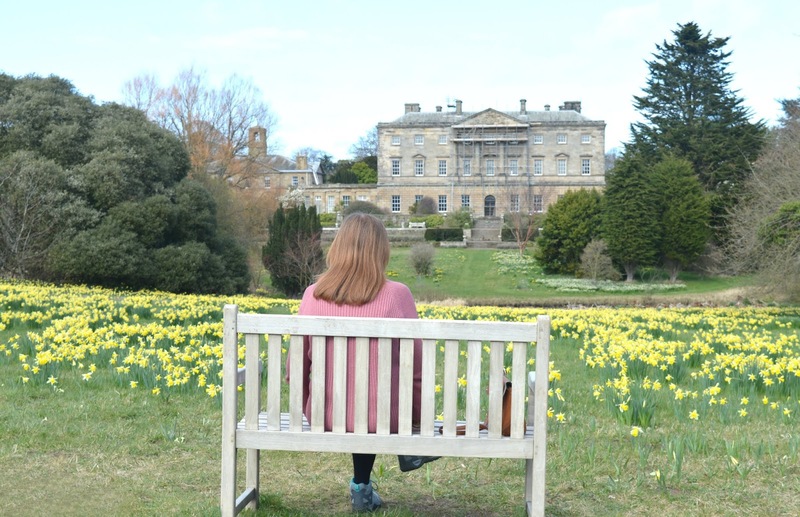 We enjoyed every moment of our first ever trip to Howick Hall and if, like us, you've always wondered if it's worth the admission fee I'd definitely encourage you to stop by and take a look next time you're adventuring in Northumberland. 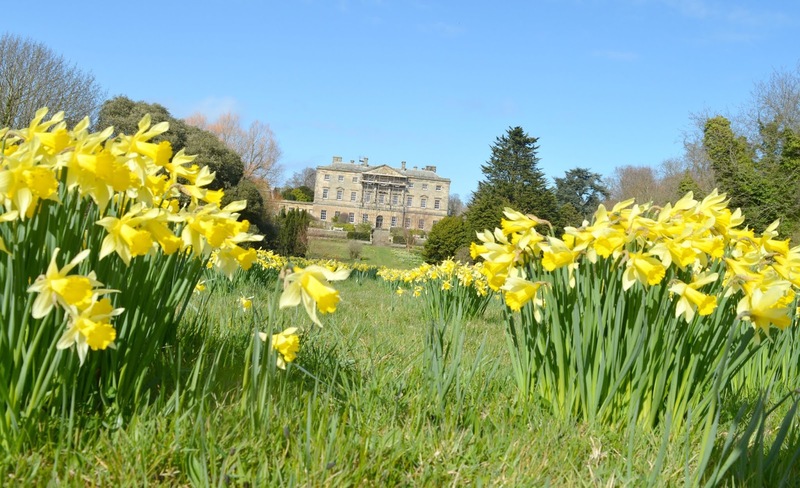 Howick Hall opens daily from 10:30 am to 6:00 pm during the Main Season (between 1 April and 30 September) for more information about the Early Season and Late Season please check their opening times here. Adults cost £8.80, Over 60s are £7.70 and Children are free - these prices include a voluntary 10% Gift Aid donation. Howick Hall is a registered charity with no public funding so prices go towards the upkeep of the grounds. We really did have the best time, I can't wait to go back - I wish we'd got a Season ticket now because we'll definitely go back! We want to try the afternoon tea next! I think if we had a Season ticket we'd probably just pop in for coffee and cake whenever we fancied! Ahhhh thank you so much! I think we only knew about it because we've driven past the signs so many time, I've not heard many people talk about it - think it's a hidden gem! I have a huge huge list on my phone, it's never ending!